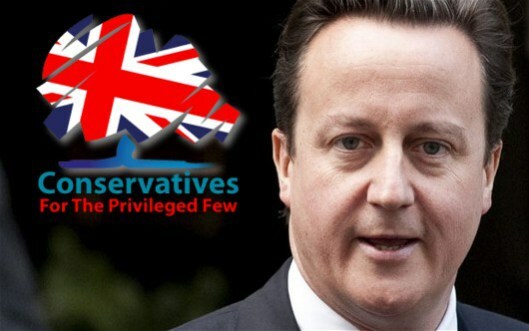 Mike tears into the repeated lies and falsehoods Cameron has told as part of his election speech promoting the Tories. MIke states that the only reasons the Tories look any good is by comparison to UKIP. I have to say that in a lot of ways, there really isn’t much difference between the two. UKIP’s leadership and policies seem to be drawn very much from the Europhobic section of the Tory party. As for the grassroots Tory activists, Jeremy Hardy made an extremely hilarious diatribe a few years ago on the News Quiz on Radio 4 about just how vicious and stupid the faithful, who turn up at the party conference really are. And he’s right, as I found out when one day a few years ago I tuned into their party conference out of sheer boredom. I turned off again soon after. The difference between the Tories and UKIP is one of degree, not difference. This entry was posted on May 3, 2014 at 5:51 pm and is filed under Uncategorized. You can follow any responses to this entry through the RSS 2.0 feed. You can leave a response, or trackback from your own site.